Do I want to be “nice”? 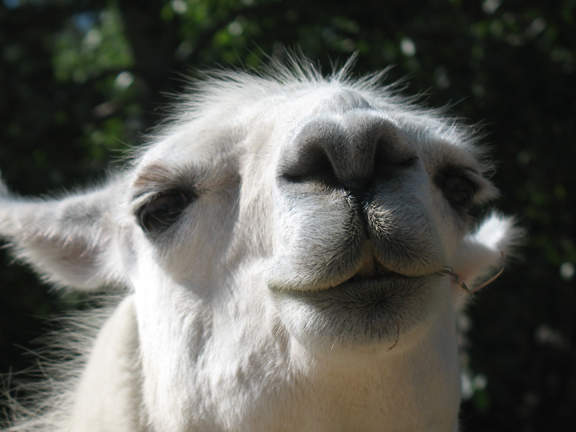 Is this a nice llama? Depends on your definition. I’ve never liked the word nice. It frequently grates on my nerves like other four letter words, even though, unlike its coarser cousins, it’s acceptable in conversation. Perhaps my revulsion at nice began when, growing up, I kept hearing the phrases “nice Jewish girl” and “nice Jewish boy”, which implied docility and conformity to family and religious-cultural norms, even though many of the Old Testament characters were frequently anything but nice. Our ancestors included murderers, marauders, adulterers, cheaters, cowards, drunkards and tricksters…in other words, flawed humans. But remove “Jewish”, and I still didn’t like the sound or implications of nice girl or nice boy. Or nice weather. Or, worse, the presumptive, “Isn’t this such a nice party/day/event?” Nice was generic, verbal goo that got spread around indiscriminately, possibly covering up the speaker’s or listener’s true thoughts and feelings. Had nice, over the course of a multi-century transcontinental journey, evolved from being naive to virtuous? Do we celebrate this trajectory as a transformation, or do we lament that the word has not remained true to its roots? Did nice abandon itself, run away from home, renounce its heritage or have an identity crisis? Or did it just surrender to the flow, serving generations of speakers as best it could as the world and fashions changed? Who knows, it’s quite possible that decades from now it will have a different usage altogether or will end up buried alongside other obsolete words in an unmarked grave. When I began this post, I thought I was going to write a tirade against nice and the people who overuse, if not abuse, it. The post even had a different title: Please don’t call me nice. I was going to make the case to ban the word from conversation, to require people to pause, reflect and reach deeper into their vocabularies for more precise terms, to not rely so heavily on the crutch of nice. My ego was going to remind people what the word really means, so they wouldn’t remain, ahem, ignorant of its origins. And that’s when I remembered that, not long ago, I had posted about Zen fools, and how part of the spiritual path is to not believe what we think we know and not clutch our sacred cow opinions, but to remember that being simple, foolish and, at times, (deliberately) ignorant can create openings for insight, connection and growth. Having ruined my rant, maybe I need think of nice as a teacher, not a nuisance. Maybe the next time someone tells me to “have a nice day”, comments on the “nice weather” or, heaven forbid, tells me I’m a “nice person” and my blood starts to curdle, I could take a deep breath, or two dozen if necessary, and return to the state of simple, foolish, not-knowing. Wouldn’t that be, um, nice? « 1,000+ views, but who is counting?